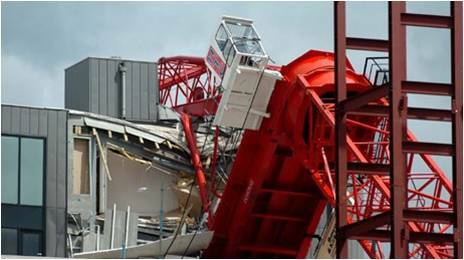 In July 2009 a crane collapsed on a construction site (with which R G Parkins & Partners Ltd were not involved) causing extensive damage to an adjacent occupied residential multi-storey building. R G Parkins & Partners Ltd were appointed as CDM Co-ordinator for the remediation works to the damaged structure. These comprised removal of the 35 tonnes of counterweights that were dropped 6 storeys into the building; demolition of unsafe structure; and partial reconstruction. 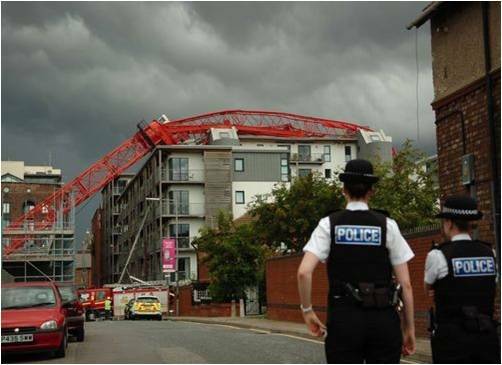 We were also required to liaise closely with the Health & Safety Executive and Merseyside Police, both of whose operations continued throughout the site works.